Dina Milivojevic is the Manager of Knowledge Management. She is responsible for managing the firm’s internal resources with a view to delivering consistent, efficient and high-quality service to clients. Dina works closely with the practice groups to meet their specific knowledge management needs. Dina’s practical legal background has allowed her to acquire advanced research and drafting skills, as well as extensive experience in preparing detailed research memoranda, legal opinions and written advocacy, and in providing general research advice. 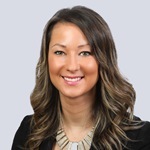 Dina previously practiced law as a commercial litigator with an emphasis on insolvency litigation, debtor/creditor disputes, and contractual disputes. She is also responsible for managing the firm’s precedent system, including developing and updating the firm’s precedent and research collections and drafting and annotating model documents. Dina is a member of the firm’s Articling Student committee.